Hale Mahina, which means "House of the Moon" epitomizes Maui vacation rentals at their best; a true haven in paradise. Nestled half way between The Kaanapali and Kapalua Resort areas, this low-rise Maui Condo Resort is set amongst lush tropical gardens and a beautiful small sandy beach. Relax at the refreshing oceanfront pool or melt away your cares in the Jacuzzi. World-class snorkeling is only steps away from your vacation rental and a stroll on the beach is magical as the sky turns orange and pink at sunset. 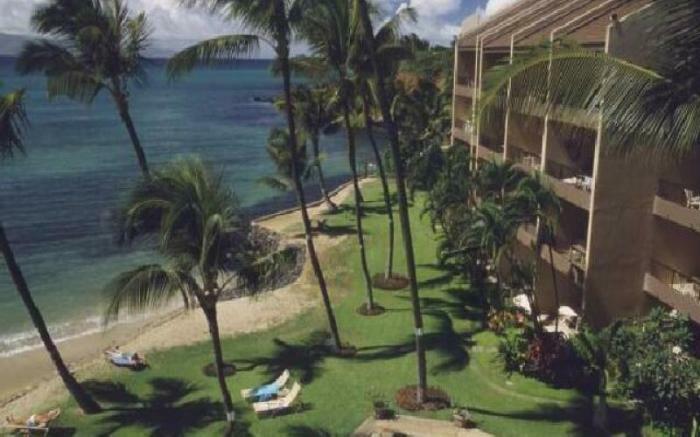 Our large 1 & 2 bedroom Maui condos are fully equipped and conveniently located minutes away the best golf courses, beaches, shopping, dining and of course the famous historic town of Lahaina. With its wonderful blend of modern living and old Hawaii charm, only once in a blue moon do you come across a Maui condo rental with such perfection.